Pete is a VP of Technology at ThreeWill. Pete’s primary role is driving the overall technology strategy and roadmap for ThreeWill. Pete also serves as ThreeWill’s Hiring Manager and is constantly looking for new talent to join the ThreeWill family. Let’s start with a definition of the Digital Workplace: The Digital Workplace enables communication, collaboration, and coordination across the virtual business landscape from any location. It is the combination of people, process and technology to enable more efficient and productive collaboration. The combination of Office 365 (including key services like SharePoint and mobile and desktop clients like Microsoft Teams) and Microsoft Azure create the basis for Office 365 Digital Workplaces. It’s where people work and the lifeblood of any organization. An Office 365 Digital Workplace enables businesses to leverage commodity-based IT Services and enable customizations to enhance business value. The extensibility of Office 365 enables individuals not just get work done, but collaborate with others and work together better. In this guide, we will give a brief historical review, identify some of the challenges, offer insights, and describe the benefits of Office 365 Digital Workplaces. If you’re ready to apply what you’ve learned and take the next step, learn more about our services offering called the Digital Workplace Workshop. The purpose of the Digital Workplace Workshop is to allow you and ThreeWill to review the business and technical requirements for your digital workplace on Office 365, explore different approaches and options, and establish a budget to implement your digital workplace. The audience for this guide is CIOs, CTOs, IT Pros, and Solution Architects. The information in this guide is technical and designed to inform technical buyers, decision makers, IT service managers, and solution architects. CIOs and CTOs: Learn how to support your business strategy and maximize return on investment with the combination of Office 365 and Azure. IT Pros: Learn how Office 365 and Azure can enable and run business solutions in a cost-effective, supportable and customizable way with a single control surface. Solution Architects: Learn how Office 365 and Azure can enable the design and delivery of custom solutions that provide maximum business value. To understand where we stand today, let’s review a little history. We’ll break this into four major phases. Our story begins with SharePoint – the critical product from Microsoft for enabling collaboration. The original vision of SharePoint mostly relieved the overworked IT staff from the burden of provisioning inward-facing intranet sites. As internal departments clamored to have their own website, IT staff had to be intimately involved in the building of content. Ultimately, the technical team was often unable to keep up with the demand. SharePoint shifted the value of provisioning sites and creating content to the business user. 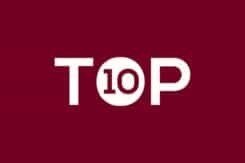 It also provided list management, document management, and search capabilities that are the cornerstone of the product to the current day. With the release of the second version of SharePoint in 2003, a third-party developer community began to form. These products often took the form of software components (known as Web Parts) that empowered end users to create lightweight applications. The 2007 release of SharePoint was a significant step forward, with advances in branding, customization, and the ability to use SharePoint as a development platform. Many of these were reasons ThreeWill focused our business on SharePoint. However, many tasks were still more cumbersome than necessary. The SharePoint 2010 release was another significant release in the product’s evolution which represented a critical point in SharePoint’s history. SharePoint could be used not only as a productivity tool for information workers but as a platform upon which companies could build business process integrations. With SharePoint 2010 the market penetration and enterprise implementations continued to rise, but there was still a significant gap between SharePoint 2010 and the burgeoning Software as a Service (SaaS) based applications, web frameworks, and solutions. Phase 3: To the Cloud! By 2012, consumers and enterprises had grown accustomed to cloud-based applications, with shortened software feature release cycles, subscription-based software, and cloud-based virtual environments. Microsoft’s release of SharePoint 2013 made a bold declaration of their intentions to drive SharePoint as a subscription-based service via Office 365. SharePoint 2013 represented a cloud-first model where updates and innovations come to the cloud first, fast, and sometimes exclusively. This cloud first, subscription-based model has two significant implications. First, the cloud-based model introduced an entirely new programming model for SharePoint 2013: the “App model” (Microsoft, 2014). Interestingly, this “App model”, while having some challenges and issues of its’ own, paved the way for the future, and not only for SharePoint. At the risk of oversimplifying, the App model enabled custom code to execute outside of Microsoft managed processes, enabling a user’s web browser or external servers (including non-Microsoft technologies) to enhance and extend SharePoint and Office applications. This ’out-of-process‘ model was a requirement to enable Microsoft’s cloud strategy and to increase the stability of the platform for on-premises enterprise customers. The early editions of the “App model” began to hint at the capability to deliver a consistent application experience inside Office 365 (Office and SharePoint apps) in the cloud, on-premises, and across multiple device formats. 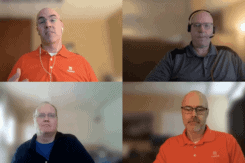 What’s the future of Office and SharePoint solutions development based on SharePoint’s collaboration roots, evolution into a platform for custom solutions, and the radical shift to a new application model? Short term, the changes may represent significant learning and adoption challenges for the Office and SharePoint IT pro and development communities. 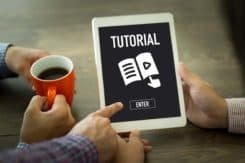 Even today, IT managers and business professionals that depend on SharePoint customizations should expect there to be a measurable learning curve for SharePoint developers and architects while moving to this new modernization approach to customization. However, while the modernization of Office 365 brings significant change, there is a significant benefit to adopting this new development and customization model – the pool of potential operations resources and solution developers just grew exponentially. Becoming an “Office Developer” continues to require less and less “tribal knowledge”, grokking of arcane rules, and acquiring in-depth knowledge of product-specific API’s and continues to increase knowledge of industry standard web technologies, development patterns, and DevOps practices. Enterprises may choose to consume multiple “best of breed” cloud solutions, but competing, or even complimentary, vendors don’t typically focus on making these solutions work together. For example, many organizations may use Salesforce for CRM needs and Box.com for file storage, but still need email, calendaring, and other “line of business” applications. Knowledge workers still need all of their tools to be integrated to collaborate and provide business value in their daily jobs. These integrations are critical to solutions that work together to add value to the business. Unfortunately, most SaaS services provide value for their specific problem domains, but these solutions don’t address all of the possible scenarios, especially custom line of business integrations. Cloud computing is a very overloaded term, so let’s define some terms. For our purposes, the following definitions describe the three categories of services delivered over a network, either private, public or hybrid. Infrastructure as a Service (IaaS) – provides raw infrastructure services (virtual machines, virtualized disks or storage, networking, and management, may include pre-installed / configured bundles with software, e.g., Azure Virtual Machines); requires maintenance, updates, and patches. Although more specific details of these terms are beyond the scope of our discussion, we will make one assumption about cloud computing in general: The cost benefits of the cloud are proven and well documented. (CFO Research, 2012). The advent of collaboration capabilities that leveraged the consistency of the Office Suite and enabled creating, curating and centralizing content is one of the primary reasons Office 365 enjoys such incredible growth and market share. The Office 365 Digital Workplace builds on the success of a subscription-based set of ubiquitous services, built on a composable, scalable, elastic, location transparent infrastructure that enables standard, cross-platform integration opportunities to benefit the enterprise. The true impact to businesses is that the same infrastructure used to deliver commodity services like email, calendaring, chat, voice and more can now be leveraged to enable global scale, elastic computing, machine learning and analytics, and much more for your specific business processes. For most enterprises, the historical context of SharePoint consisted of on-premises delivery with software releases based on 3-year cycles. Enterprises became so entrenched in this release cycle that planning periods paralleled these timeframes, but Office 365 and Microsoft Azure changed much more than just these planning and release cycles. Microsoft’s introduction of Office365 and Microsoft Azure represent a fundamental shift toward continuous delivery of their products and services that continue to impact feature prioritization, development, delivery, licensing, support, maintenance, and availability among many other facets. Microsoft’s change to a continuous release cycle is indeed a monumental shift, with far-reaching impact in the enterprise. Strategic decisions are no longer concerned with a simple purchase of a suite of product licenses, an Enterprise Agreement (EA) or Software Assurance (SA) agreement, support hours and other typical services which have an ROI time horizon of the past. Defining and implementing a digital workplace requires strategic planning, business, and IT interaction, and a tolerance to embark on a digital transformation journey. For digital workplace initiatives to be successful, organizations need to embrace the continuous delivery of new and enhanced services from Microsoft (and other vendors) and adapt strategic planning and implementation to flex with this pace or change. Even as late as December 2018, many enterprises were still moving to the cloud cautiously, or not all, continuing to invest in on-premises SharePoint upgrades. These ‘lift and shift’ upgrades do not embrace the value proposition of Office 365 or the new development models. There are a wide variety of reasons for this cautious approach. Unfortunately, these concerns often preclude open dialog about the benefits of digital transformation, regardless of private, public or hybrid implementations. There are three common characteristics to cautious investments in Office 365 Digital Workplaces. The first two characteristics are more organizational than technical. There is significant “management of change” challenges when moving to the cloud. Indeed, it is not merely a technical challenge. Training, migration, and adoption of these new technologies are real concerns and success depends on managing these concerns well. Compliance typically refers to adherence to governmental, regulatory, business security, and data handling requirements. With all of the recent events regarding government-based surveillance, on-premises security breaches, social engineering attacks and more, enterprises are hyper-sensitive regarding compliance and security requirements. 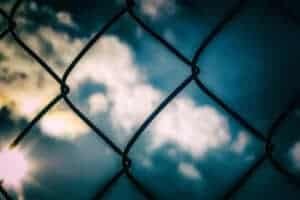 While many CIO’s and IT Pro’s may still believe that a dedicated server (i.e., on-premises) is more secure than one in the cloud, this is proving to be a costly false assumption for many organizations. Enterprises can address a significant number of compliance challenges by utilizing Microsoft’s existing compliance offerings in the public cloud and augmenting these compliance and data security services with on-premises or hybrid implementations as needed. While virtualization and abstraction of on-premises services have increased over the past 5 years, a significant number of operations teams still prefer to keep infrastructure ‘in-house.’ The responsibility to ensure constant business value from infrastructure and applications seems to rule out even IaaS options for many operations teams, and PaaS solutions are often not even considered. However, the responsibility to ensure a controlled and governed infrastructure does not preclude the use of the Office 365 Digital Workplace. The control benefit lies in the platforms integration options and control surface. Location transparent control of your infrastructure can be provided by hybrid cloud implementations. The combined Office 365 and Azure control surfaces benefit operations teams by providing a consistent interface for managing development, deployment, identity, virtualization, and storage across on-premises, hybrid, and Azure-based resources. The final perceived barrier, customization, is least likely to impede providing business value with the Office 365 Digital Workplace. However, there is still anxiety and fear in the development community regarding the complexity, integration, and new skills required to add value using the new development model. When creating custom cloud-based solutions, there are modern architectural patterns that must be understood and applied in specific situations (see Microsoft’s free e-Book “Building Cloud Apps with Microsoft Azure” for many of these patterns). Specifically, patterns that can enable your DevOps teams to focus on adding business value include continuous integration, data storage, and partitioning, fault handling, caching, queued processing. These patterns are integral to business process digital transformation and therefore critical to providing you with the most benefit from your Office 365 Digital Workplace. Office 365 Digital Workplaces can add significant value to the enterprise, but they MUST align to business strategy and desired outcomes. A digital workplace initiative must flow from the strategic objectives of the business. In other words, they must answer the question “Why are we digitally transforming?”. Are there licensing costs to be reclaimed, is employee engagement a top priority, are you trying to raise your Net Promoter Score? Transforming your data center, enabling Office 365 services, and providing “self-service” for users to consume services without planning, training and defined measures of success is a “plan to fail”. Office 365 Digital Workplaces can add “commodity” value to your business immediately, reduce long-term control costs gradually, and enable productivity and innovation as your business objectives dictate, but you must define those objectives and the metrics by which success will be measured to get the full benefit. A journey without an itinerary is just wandering! To state the obvious, ‘business solutions’ must provide value to the business, and a digital workplace must enable your technology programs to work together seamlessly to achieve your business objectives. However, the more your operations teams focus on routine maintenance, the less time they spend adding value to your business. Shifting your enterprise to “commodity” SaaS services and utilizing IaaS services where possible enables investment in higher value hybrid and PaaS-based solutions. The higher your ratio of PaaS solutions, the more your operations and development staff can focus on innovation to advance your digital transformation. In order to derive the full benefits of the Office 365 Digital Workplace, an enterprise should identify where they are in their digital transformation journey. Digital transformation is a journey, not project or a single goal, and for most enterprises will require multiple vendors and integration. 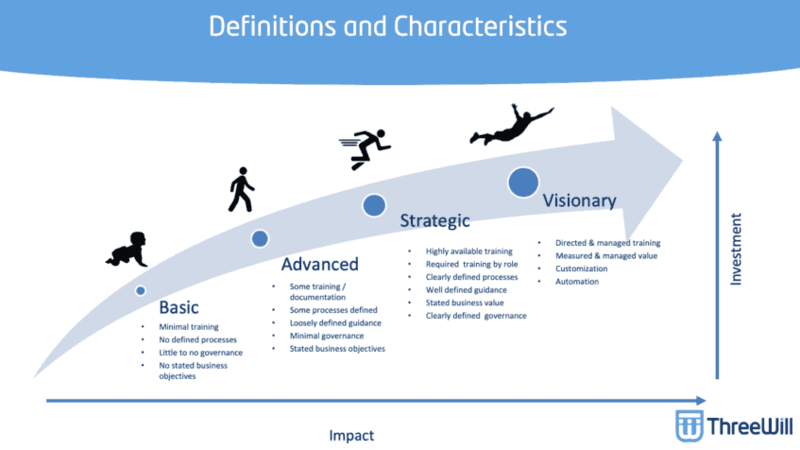 Defining a coherent business strategy, with measures representing success, may be done at a business process, organizational, or global level, but each of these levels must identify the WHO (your people), the WHAT (your business objectives), and the HOW (technologies and integrations) that will form your digital transformation itinerary. Aligning strategic business objectives with technology implementation means determining your current maturity level and how you can make progress in your journey. At ThreeWill, we like to use the following four levels of “digital maturity” to help identify where a business process, organization, or enterprise is in their journey. Identifying “why” your organization needs to transform, and where your business process, organization or enterprise is on your unique transformation journey, enables you to become laser focused on what steps you can take to move to the next level. As an example, one business unit may start with an inefficient business process (i.e. 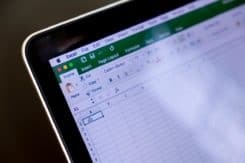 Basic) and might require training users to use co-authoring to stop emailing a business critical Excel file for updates. In addition, your CIO may be measuring increased collaboration (i.e. Visionary) and use sentiment analysis and usage metrics to track progress to defined metrics to manage engagement and adoption. 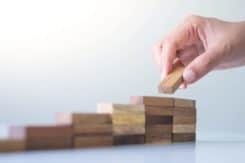 Identifying your maturity level means establishing your starting point for transformation and enables building the itinerary or roadmap to guide your organizations “digital transformation” journey. Innovate Together – By defining a clear roadmap to transformation based on your circumstances, enterprises can gradually reduce the number of resources required for infrastructure maintenance and routine management. This also increases the ability to focus these resources on adding business value by creating solutions that increase productivity, efficiency or create new innovative business solutions. Promotes business process cohesion – Office 365 Digital Workplaces can facilitate increasing your ratio of PaaS solutions by promoting the design and delivery of processes that are cohesive and loosely coupled. However, cloud enabling your processes doesn’t necessarily mean moving your data to the cloud. Cohesive and decoupled business processes enable contextual applications that can integrate data from Office 365 applications, third-party solutions, multiple devices, and different platforms. Reduces infrastructure maintenance – Office 365 Digital Workplaces can reduce or eliminate infrastructure requirements, even if a cloud profile dictates some on-premises services. The often-cited benefit of continuous delivery is the reduction of overall maintenance of core, commodity IT services. But the often-overlooked benefits of continuous delivery of IaaS and PaaS services can significantly reduce your maintenance burden. Current and emerging development model solutions can range from 0% -100% in the cloud (public, private, or hybrid), but all can be built cloud-ready. Enables “On-Your-Terms” architectures – Office 365 Digital Workplaces provide a wide range of options and architectures to ensure you can meet your business cloud profile requirements. Combining on-premises, dedicated tenant, or hosted models provide a wide array of compliance, control, and customization options. The entire ecosystem enables defining a digital workplace as your business objectives allow or dictate for commodity services, storage, identity management, search, and business-specific processes. Technology stack agnostic – Office 365 Digital Workplaces enable using the right tool for the right job. If business objectives require solutions better managed by alternative development stacks, platforms, operating systems, or compute models, the simple answer is just to use them. With today’s trends of mobile first design, burgeoning web standards advances, cross-platform functionality, and flexible compute models, your digital transformation can be flexible and adaptive over time. Over the next 3-5 years, the major business drivers for Microsoft’s enterprise customers will continue to focus on two pillars: Azure and Office 365. The Office and SharePoint development models now align perfectly with those pillars. Recognizing the general trend of businesses creating and exposing discrete services, and specifically, Microsoft’s delivery of Office, SharePoint, Teams, Yammer, Office Graph, and many other API’s, will enable you to develop long term strategies that derive value in this environment. In the end, embarking on an Office 365 Digital Workplace journey is a quest to define strategic objectives that are implemented as a highly cohesive and loosely coupled sets of services that enable your people to accomplish their jobs, to do their work anywhere, anytime. Enterprises that identify their “Digital Workplace Maturity Level” across multiple strategic objectives and business processes, and create a plan to manage and measure those processes, have an incredible opportunity to use Microsoft Office 365 and Azure to achieve those objectives. Kristi Webb helps us with a walkthrough of PnP PowerShell provisioning for 'Modern' SharePoint Site Collections, screenshots and all! Bob Morris explores methods for Collaborative Notes in Modern Meetings. 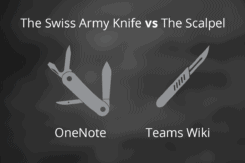 This post can serve as a user guide for taking notes on OneNote and Microsoft Teams. Why Should I Care about Provisioning in Office 365? Bo George writes on Provisioning in Office 365. He provides examples for the automation of the provisioning of Digital Workplace assets. Roundtable Discussion – What is a Digital Workplace Briefing? Danny Ryan talks with Bruce Harple, the VP of Delivery from ThreeWill, about the ten benefits of an Office 365 Digital Workplace. Roundtable Discussion – What is a Digital Workplace? What is a Digital Workplace? 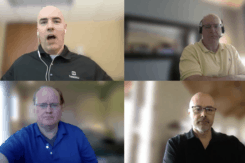 Pete Skelly, Pete Fritz, and Tommy and Danny Ryan discuss the reality vs hype over Digital Workplaces in organizations today. 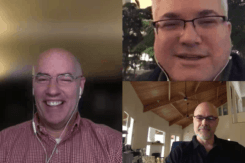 Tommy and Danny catch up with Owen Allen (of Zones) to talk about the state of collaboration in 2019, SharePoint Intranets in a Box options and digital workplace resources. Danny Ryan shares a curated list of official Office 365 useful links from Microsoft for Office 365. 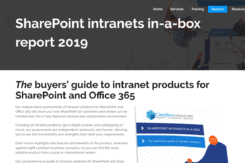 Tommy and Danny Ryan of ThreeWill catch up with Sam Marshall to discuss the state of the SharePoint Intranet in a Box market in January 2019. Kristi Webb wallks you through the steps for provisioning modern SharePoint online site collections using both modern team and modern communication sites. 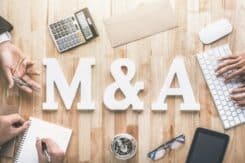 Pete Skelly covers the 3 facts you should know to ensure your mergers and acquisitions (M&A) activities that involve Office 365 are successful. Pete Skelly and Danny Ryan talk about the new world of Office Addins and how building custom add-ins can become a part of your modern digital workplace.